More and more applications (apps) for smartphones are available that are able to access personal data without the user’s knowledge. 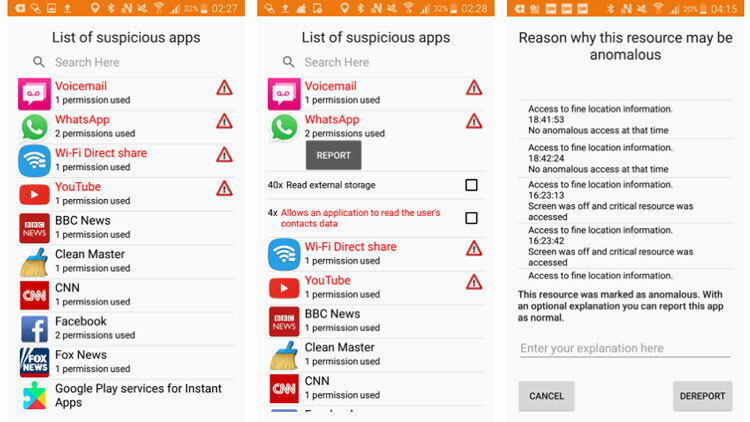 Researchers at the Goethe University Frankfurt have now developed an app which detects data privacy risks and puts users back in control of what their installed apps do. Goethe University Frankfurt (Dr. Jetzabel Serna and Prof. Kai Rannenberg) and RheinMain University of Applied Sciences (Prof. Bodo Igler) were responsible for the project’s scientific coordination. It was financed from the „Privacy&Us“ project under the EU’s Marie Skłodowska-Curie programme. The results of the study, which were announced in 2017 at the 14th International Conference on Trust, Privacy & Security in Digital Business (TrustBus 2017), have now been published and are publicly available.